Our route to New Orleans involved driving through the length of the state of Mississippi down Highway 61. We had heard that driving the Blues Highway would be more scenic, involving a tour through Clarksdale, the birthplace of blues music, but given that the sat nav was showing a 6 hour journey already, we decided not to prolong it any further. We drove into New Orleans over miles and miles of swamp land and reached our home for the next two nights, the Fairchild House in the Garden District. 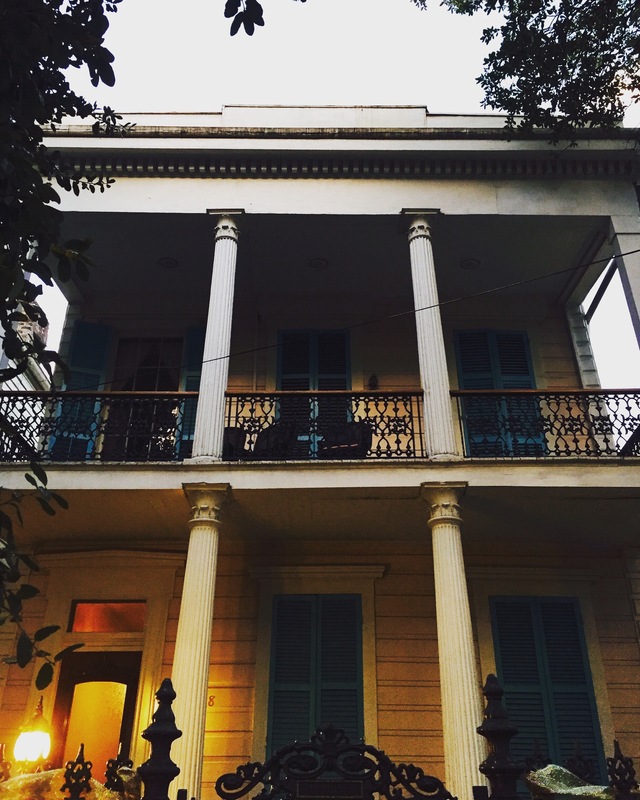 The B&B, made up of three traditional New Orleans houses with columns and wooden verandahs, was like stepping back in time. 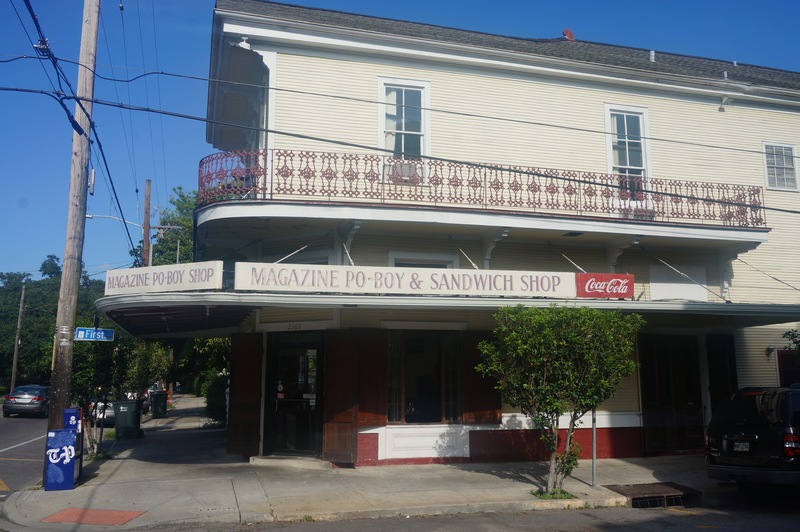 The girl who checked us in gave us some local recommendations, including a suggestion to visit Magazine Street only a few blocks away, which has lots of independent craft stores, bars, restaurants, and po boy shops. 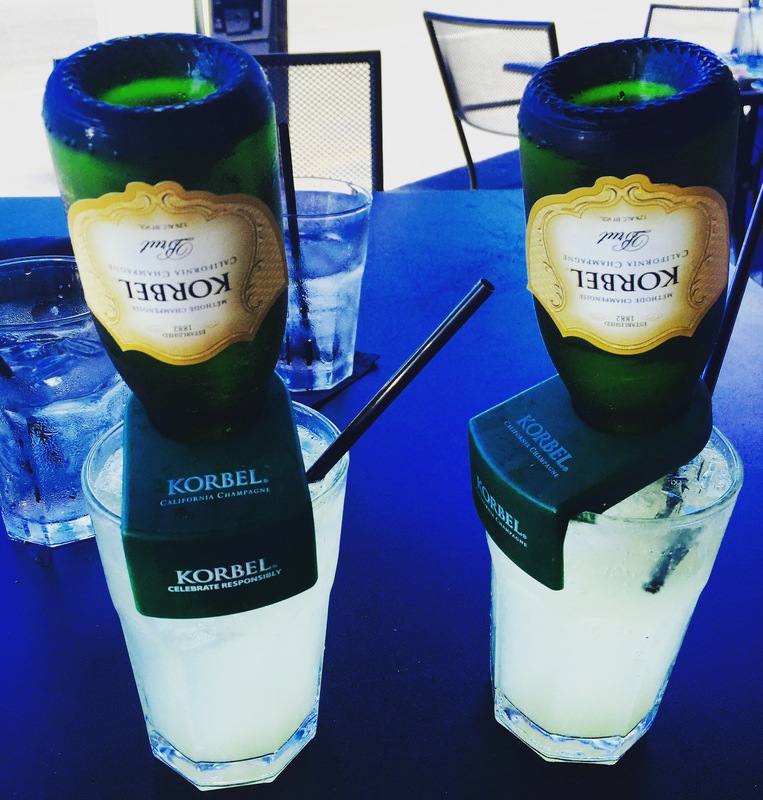 We headed straight over and found a great local bar and taqueria, Arana, with happy hour champagne margaritas for $6 to quench our thirst in the 35 degree heat. The $3 tacos were an added tasty bonus too. In the evening, we took the $1 streetcar from St Charles, only one block away, into the French Quarter. We wanted to see Bourbon Street for ourselves, having heard mixed reviews. 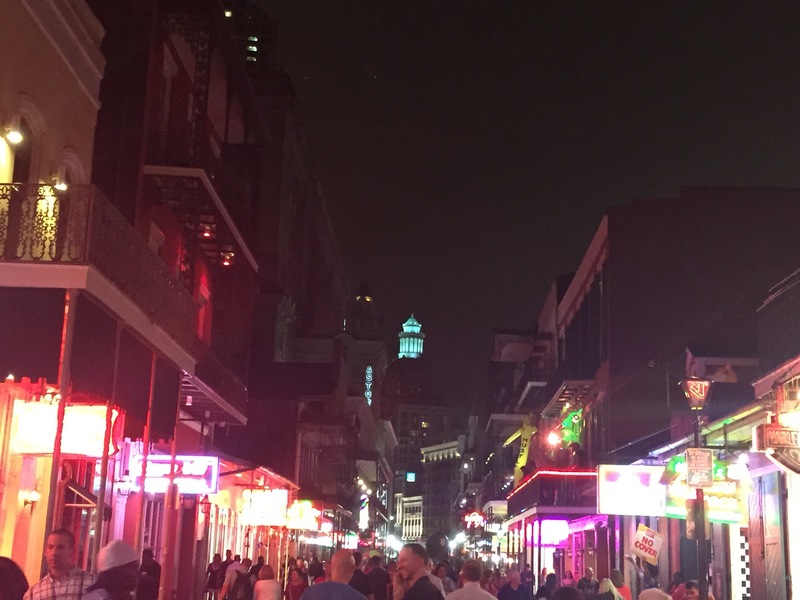 Bourbon Street is definitely party street: 32oz daiquiris “to go”, luminous shots, pizza by the slice, smelly stagnant water in the streets. It was the American equivalent of the strip in Magaluf. Maybe age is setting in, but it really wasn’t for us! Luckily we had done our research and, with a quick turn down Royal Street, downtown New Orleans is a different story. 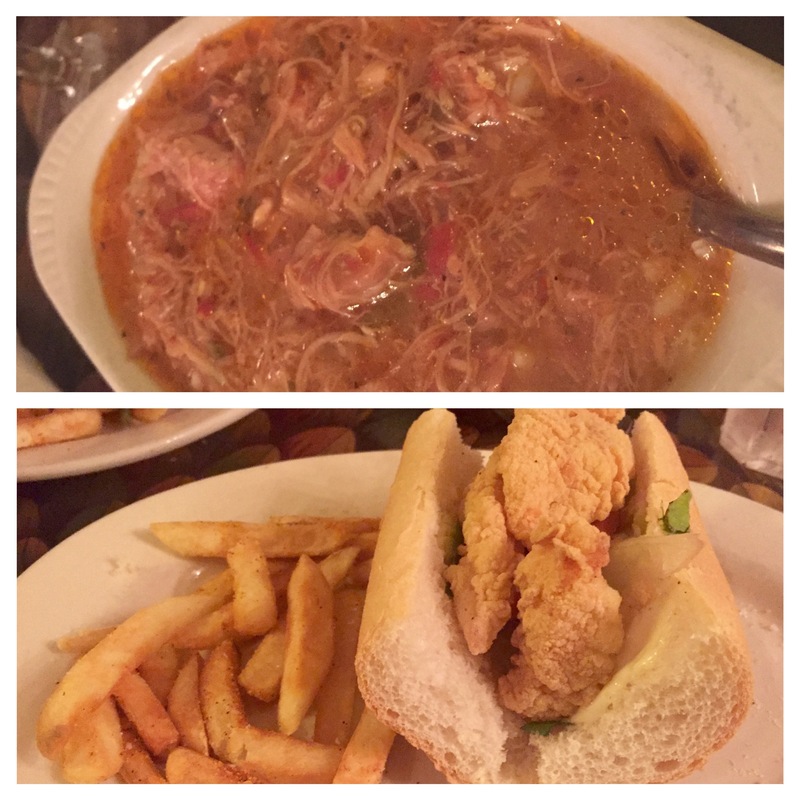 We went to The Old Coffee Pot to try their shrimp po boy, but it wasn’t to be our night – they’d had a big weekend and were out of shrimp, so I made do with the catfish po boy instead. Phil (not being a fish lover) went for the beef po boy and as we’d both ordered the set menu we were given a side of spicy chicken and sausage gumbo. Delicious for $11. 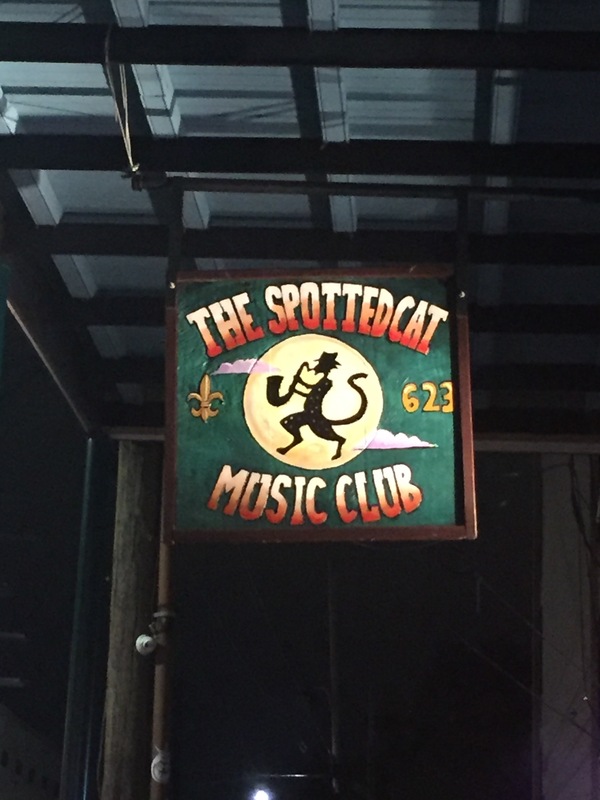 We walked a few blocks down to Frenchman Street and listened to some traditional New Orleans jazz at The Spotted Cat. We were lucky enough to grab the last remaining seats in the corner – when the music sounded this good, it didn’t matter that we couldn’t really see the band for the crowds! 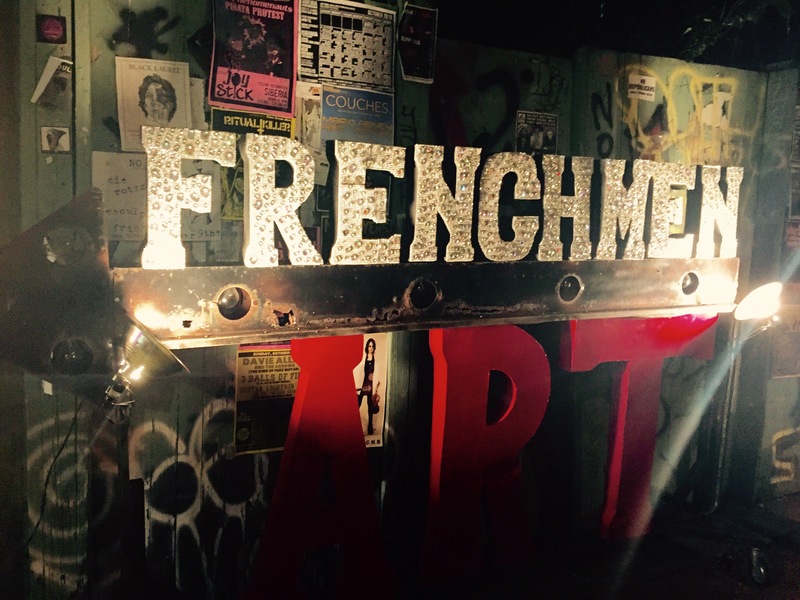 Outside, we had a great time looking round the Frenchman Street Art Market and stumbled across a group of teenagers who had formed their own street jazz band. Only in NoLa. 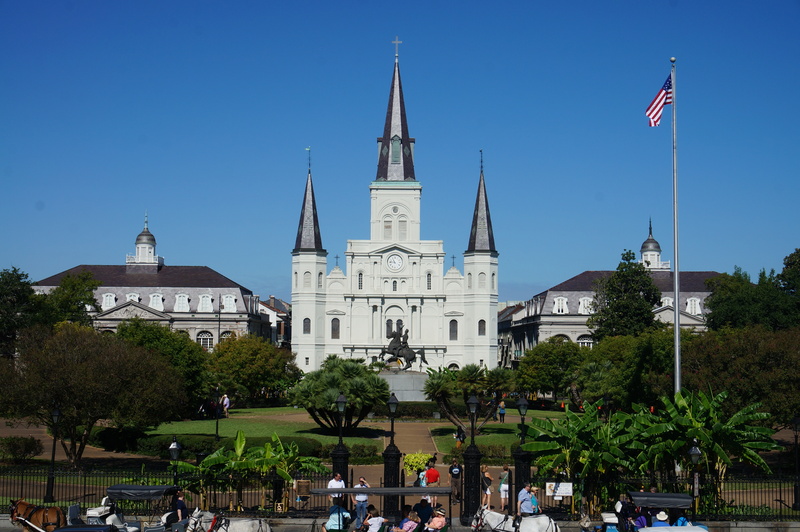 The next day, we started our recovery from a night in the French Quarter with a walk through Jackson Square to see St Louis Cathedral. 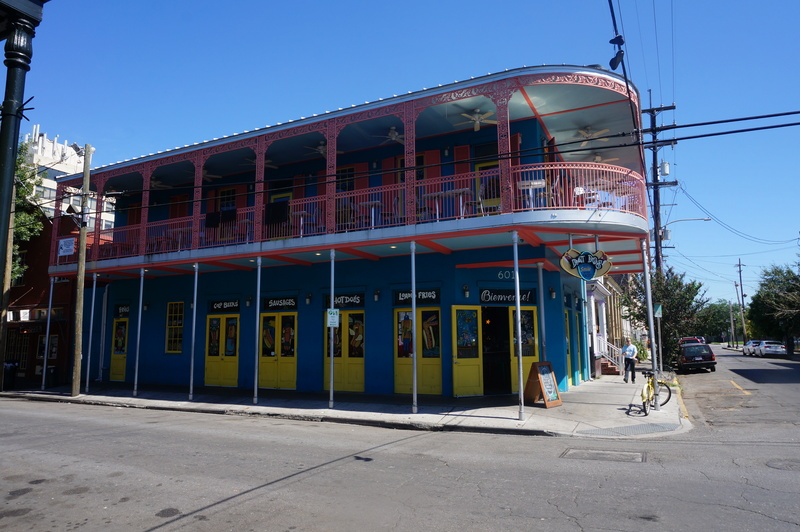 We walked on to Cafe du Monde, famous for its beignets and owned by a descendent of the local Oak Alley plantation house we were to visit the next day, and on towards the French market with its lines of stalls selling local crafts. 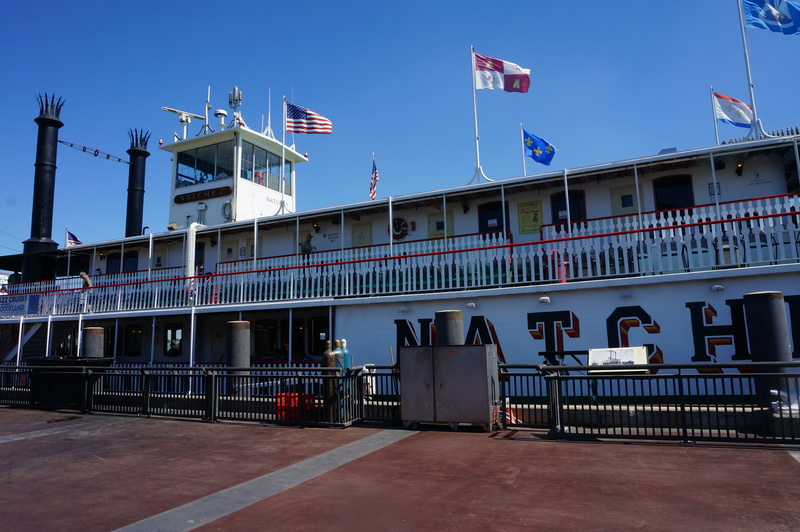 We had seen that Mississippi River cruises were offered on the Natchez, a traditional steam powered paddle boat. 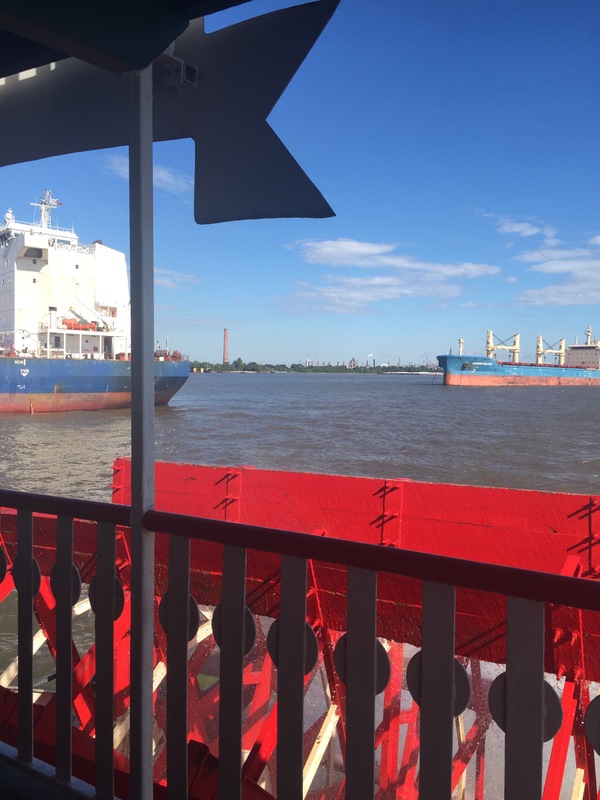 It was a perfect way to see the river and get a different perspective of New Orleans. There was a calliope concert whilst everyone boarded – luckily this only lasted 10 minutes as it was very high pitched. Once underway we sailed along with the sounds of a jazz band playing. 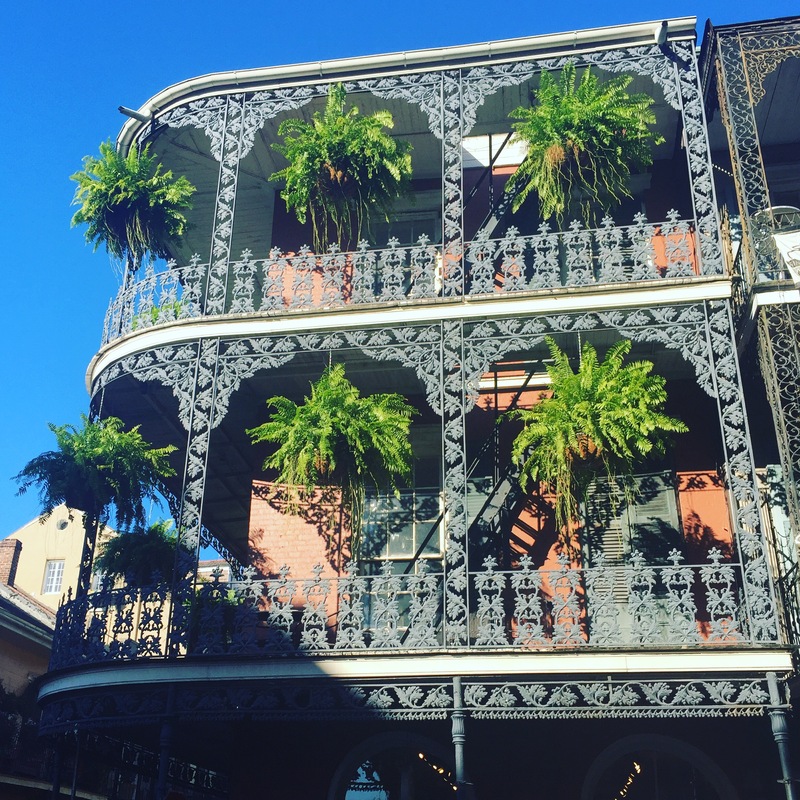 It was really interesting to see the different sides of New Orleans – the 9th ward which still hasn’t been fully rebuilt after Hurricane Katrina, and the industrial port and sugar and oil refineries lining the vast riverbanks – rather than just the more photogenic French Quarter. 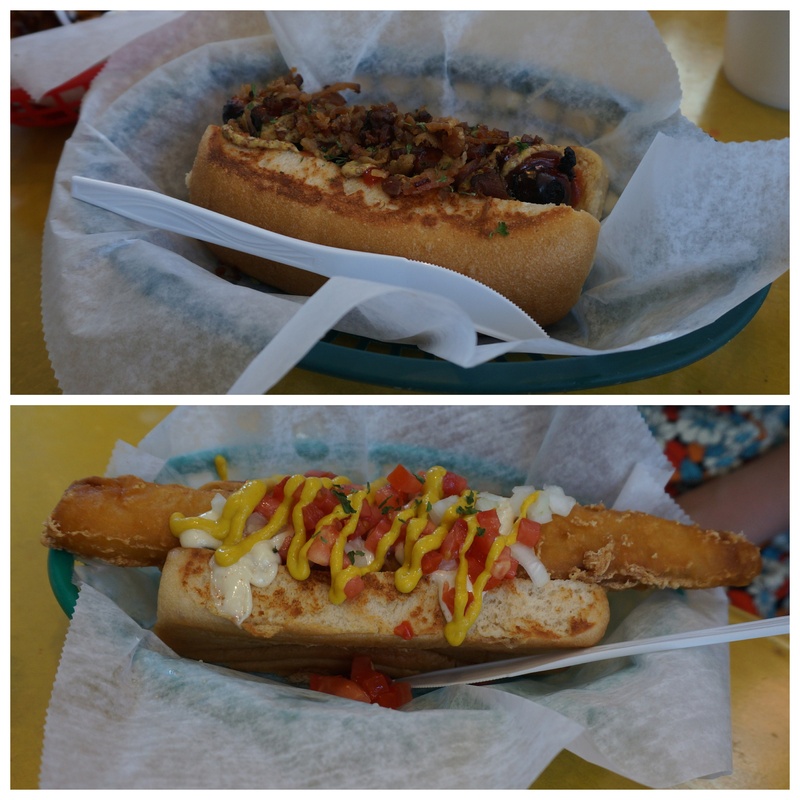 A three-course lunch is offered as part of the cruise, but we decided to go for the cheaper, tastier option and headed back to Frenchman Street for a quick hot dog at Dat Dog instead (they have just opened another restaurant on Magazine Street too). Seeing the buffet lunch on offer on the Natchez, this was a great decision. We ordered the Beef Wiener, topped with crispy bacon and creole mustard, and the Sea Dog, a tempura cod fillet with homemade tartar sauce, chopped tomatoes, and American mustard. For our last evening in NoLa we decided to stay local and went back to our new favourite street, Magazine Street, to a local restaurant for some real creole food. 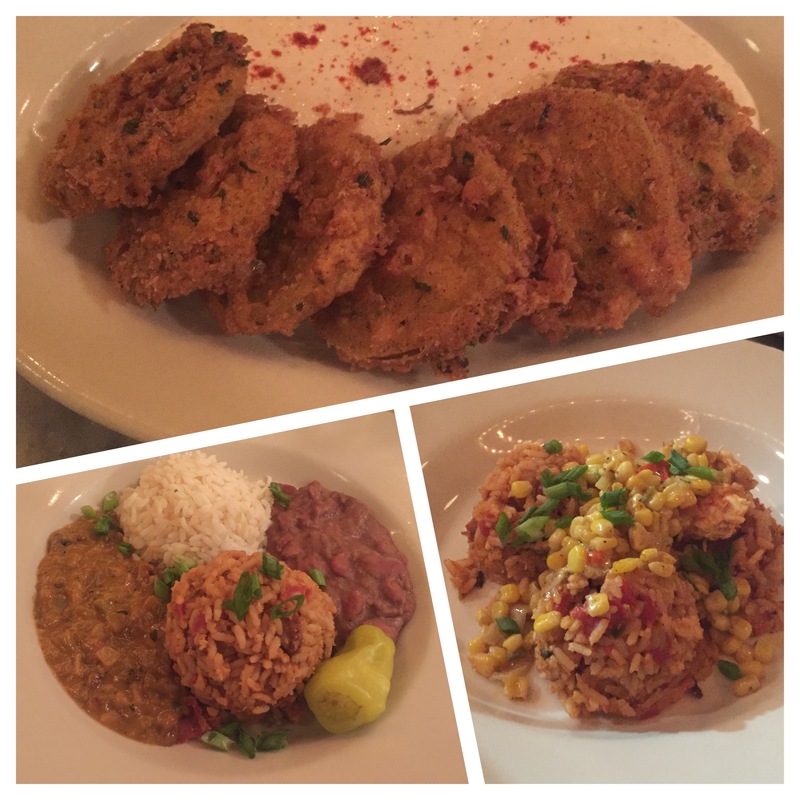 We tried an “entree” of fried green tomatoes and creole remoulade, which were surprisingly very good, followed by the creole sampler: chicken, boudin sausage and alligator jambalaya; red beans and rice, and crawfish étouffée (from the French verb “étouffer”, meaning “smothered”, a light blond roux which is simmered and served with rice). We had a very early start the next day for our drive to Austin, Texas, so we were the first guests in for breakfast. 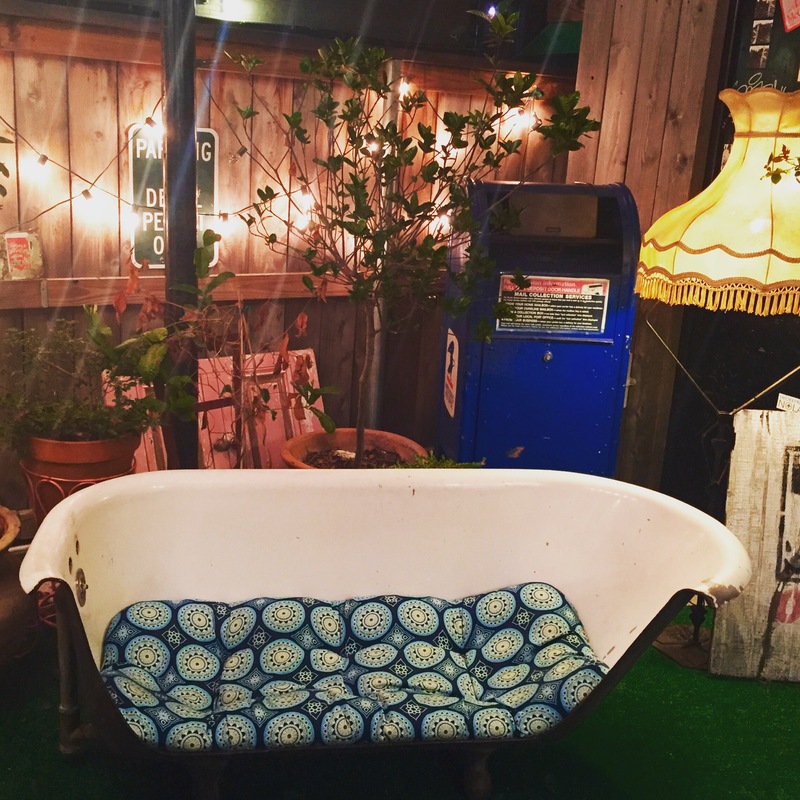 We got talking to the B&B owner, Beatriz. Beatriz is Brazilian but has lived in New Orleans for the past thirty years, and spent two years living in Settle, North Yorkshire, so she knew all about the Yorkshire Dales, cold winter weather and our love of tea! It’s a cliche, but it really is a small world.